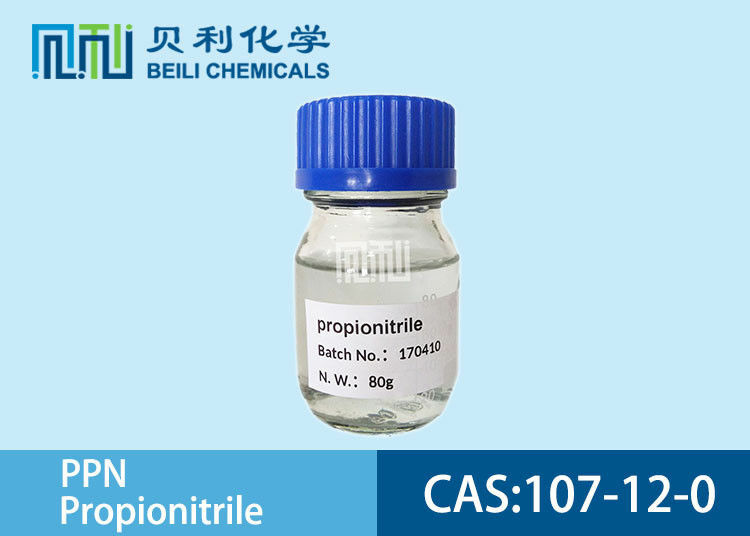 Propionitrile, also known as ethyl cyanide and propanenitrile, is an organic compound with the formula CH3CH2CN. It is a simple aliphatic nitrile. The compound is a colourless, water-soluble liquid. It is used as a solvent and a precursor to other organic compounds. Used as pharmaceutical intermediate, and also take part in many organic syntheses. Currently mainly used to produce hardener of epoxy resin, 2-ethyl-4-methylimidazole. Also used to produce the sulfafurazole. Handling: Wash thoroughly after handling. Remove contaminated clothing and wash before reuse. Avoid contact with eyes, skin, and clothing. Avoid ingestion and inhalation. Storage: Keep away from sources of ignition. Store in a cool, dry place. Keep container closed when not in use. Flammables-area. 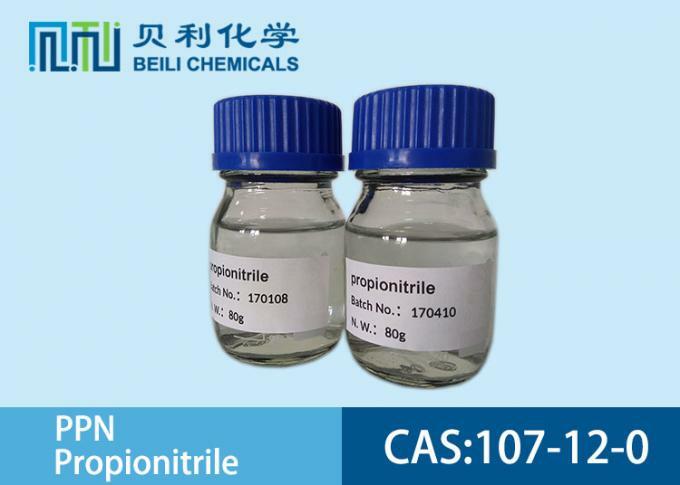 BeiLi is a professional manufacturer of propionitrile (PPN) CAS# 107-12-0 in China. We can provide costomers with "one-stop"packaging service,from research,development,production,export and so on.